Mathematical Object, Equation, Poincare Inst., Paris. Signed & dated recto mount in pencil; dated verso mount in pencil. wet stamp verso print: "Man Ray 8 rue de/Val-du-Grace/Paris..."; wet stamp verso mount: "Photograph/by Man Ray". According to Man Ray, artist Max Ernst brought to his attention a group of three-dimensional models at the Institut Henri Poincaré in Paris. 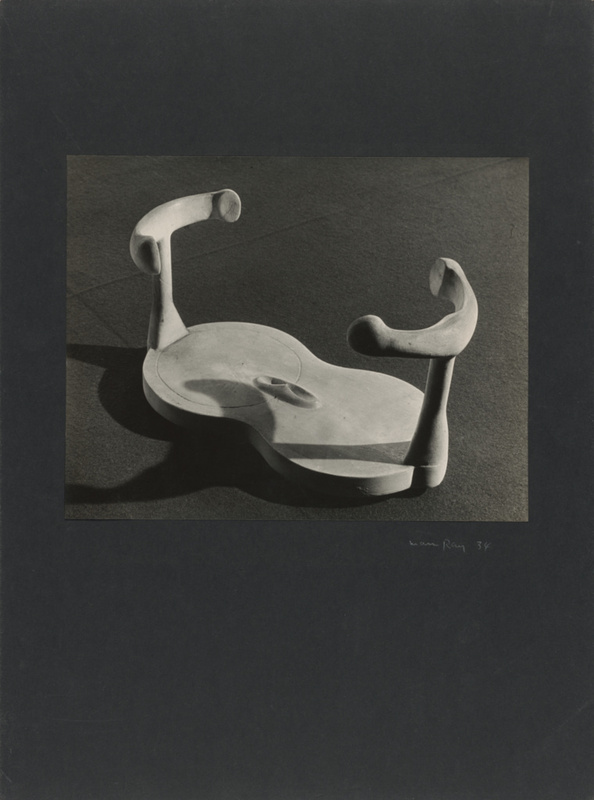 The forms, made of metal, wire, plaster, and wood and meant to illustrate algebraic equations, made a great impression on Man Ray, and he decided to photograph them. "The formulas accompanying them meant nothing to me, but the forms themselves were as varied and authentic as any in nature. The fact that they were man-made were of added importance to me," wrote Man Ray of these objects, which he used as points of departure for a series of twenty paintings that he made in Los Angeles. Pech, Jürgen, Achim Sommer, and Patrick Blümel. Man Ray: Fotograf Im Paris Der Surrealisten. (Brühl: Max Ernst Museum des LVR, 2013), p. 142.